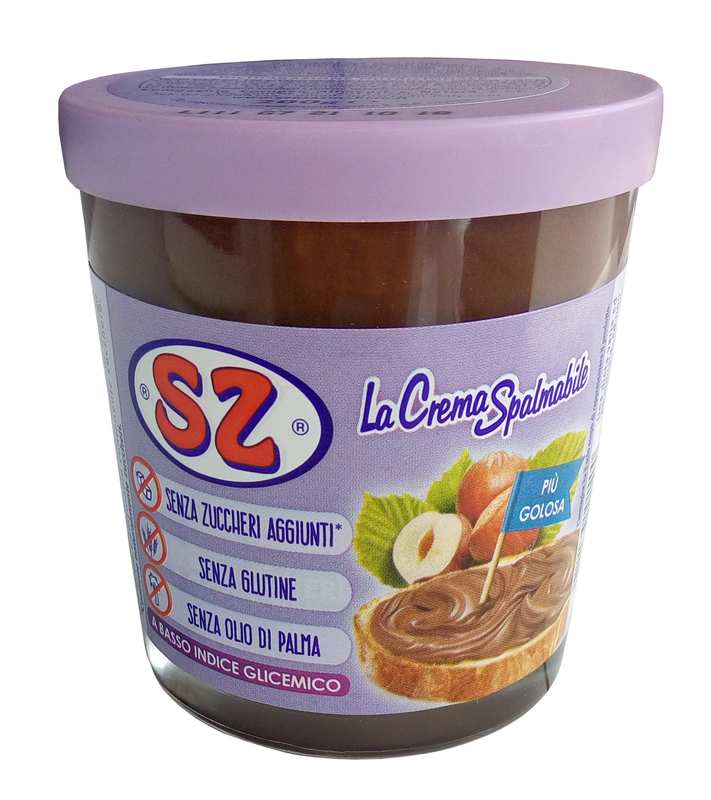 The delicious spreadable cream "SZ", made with fine cocoa, the best Italian hazelnuts. With nutritional and health features that make it unique and inimitable. It is also gluten free. Spreadable Cream with nuts and low-fat cocoa, no added sugars*, with sweetener. INGREDIENTS: sweetener: maltitol, nuts 16%, low-fat cocoa powder 10,5%, skimmed milk powder, sunflower oil, whey powder, emulsifier: soy lecitin, flours. *It naturally contains sugars. Excessive consumption may have a laxative effect. Keep in a cold and dry place. Produced in Italy.